Your message has been sent. Sharon will respond to your questions as soon as possible. If you are not contacted within an hour, we may be having trouble reaching you. Please call us at (770) 390-8262. 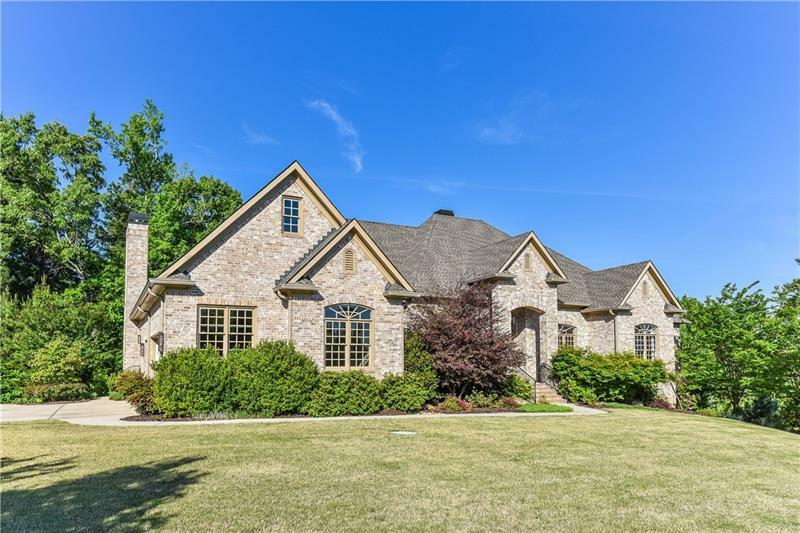 Captivating 1 level 4 sided brick custom home on full unfinished basement! Luxurious living w abundant natural light, open flowing spaces, dramatic ceilings, hardwoods & tile, gourmet chef's kitchen w stainless steel Jenn Air appliances, 2 ovens, 6 burner gas stovetop, stainless vent hood, wine cooler, drawer microwave, 48" fridge. Owners retreat & ensuite baths in bedrooms. Office w custom built-in & french pocket doors. Sweeping views, private backyard, expansive covered back porch. Like new w highest quality features too many to list plus Arbor Springs amenities. A representative from Metro Brokers has received your request to visit 11 Sky View Court on at . Your friend will receive an email shortly from Sharon	with details on this property. For your convenience, your friend's email and name will be auto-populated next time you use this form. Complete this form to send a link to this listing to a friend. The email will come from Sharon's	email address, and your personal message will be included.